The main body is made of aluminum alloy,light and portable. Chain belt is used for lock of pipe and cutter,flexible and convenient in operation. Chain belt can be adjusted according to diameter of pipe. 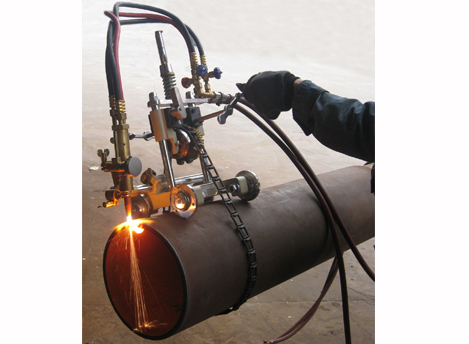 Applied to boiler marking, oil production, and chemical factory, etc. Especially applied for fied work without power supper.